Marley is a very cute crossbreed. 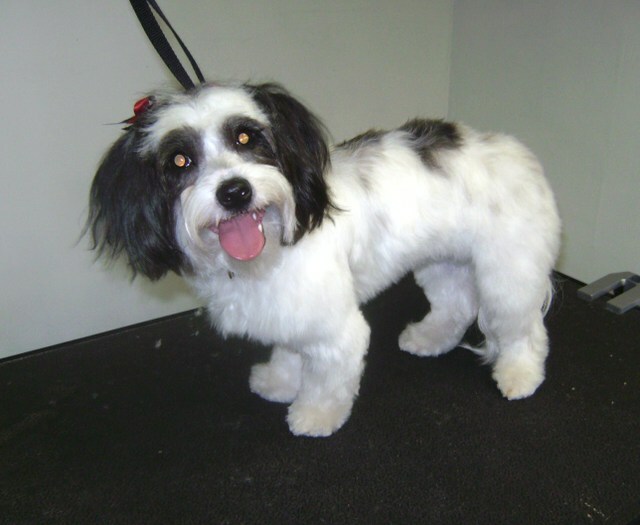 Unfortunately, the mix of Shih Tzu and Maltese has left her with a coat with a stringy topcoat and a very soft, cottony undercoat. The top coat is fine and easy to care for, but the undercoat mats very easily. Keeping Marley in a 1inch clip allows her to stay fluffly, but is still easy for her owners to take care off. Luckily they DO brush her at home, otherwise with this type of coat Marley would be a short shavedown every time.